Welcome to the first collaboration between Foam Dart Thunder and iCombat Glasgow! 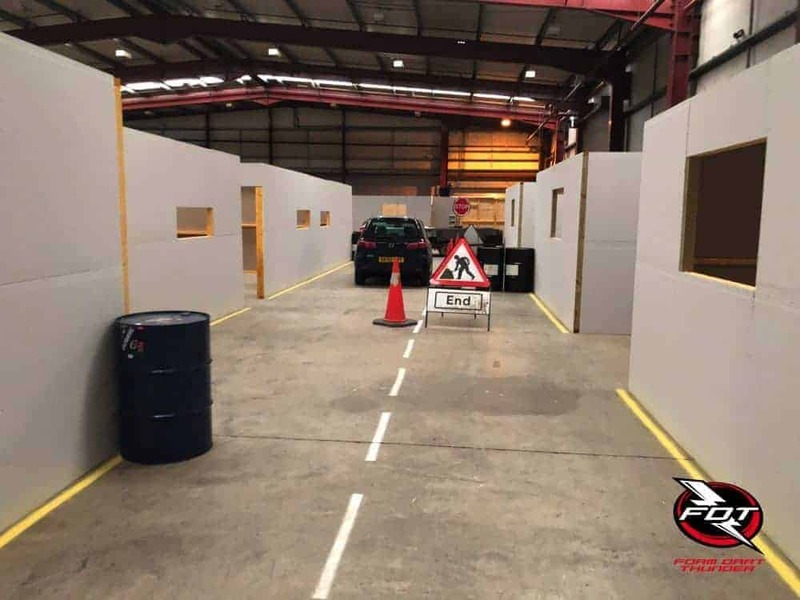 You’ll Nerf in a custom built 16,000 sq ft arena, with all the cover you could need! With 32 different rooms to make your way through, abandoned vehicles, barrels, themed music and smoke, this is sure to be another unique event for FDT! We’ll be creating new scenarios for this event, but will be including our favourite “Flux” as this venue will lend itself to that particular game so well. Limited to 50 tickets only. FDT Members will have 48 hour early access to tickets – see below (1 per membership). Please be there by 18:30. Games and dart sweep finish 21:00. Smoke machines will be used in this event, and smoke grenades will be on sale from the venue. You cannot bring your own. Smoke must be thrown both under-arm and below knee level in accordance with venue safety rules. Under 18s are not allowed to use smoke grenades. FDT Member’s – Saturday 11th August and Sunday 12th August. Public sale – Wednesday 15th August at 21:00.